You make an effort every day to provide stellar service. Get recognized for it. Get recognized for training, tech support, and more! You know it, now let everyone else know it, too. SCN’s Stellar Service Awards do more than just acknowledge the invaluable lifeline of tech support—they highlight all of the outstanding endeavors by industry leaders to improve the process of buying, selling, and installing their products, as well as all of the education programs designed to make anyone into an expert. To enter, review the categories below and be ready to select your category when you fill out the form. Each entry is $250; all entries must be submitted by February 20, 2019. To enter, complete and submit the nomination form. All entries must be received by February 20, 2019, at 11:59 p.m. EST, unless otherwise noted. All entrants must complete the online nomination form (one per product nominated), remit payment for the entry fee(s) via our online system. The prizewinners will be determined by a panel of judges and will be notified in person or by mail, email and/or telephone before April 1, 2019. Judges’ decisions are final. This contest is sponsored by Future US, 28 East 28th Street, 12th floor, New York, NY 10016. Entry fees are $250 per product to which you submit for consideration. Companies may enter numerous products for consideration, provided they complete the online nomination form and pay the necessary entry fee(s). What are the Stellar Service Awards? Anyone with authorization on behalf of all companies involved can submit entries for the SCN Stellar Service Awards. 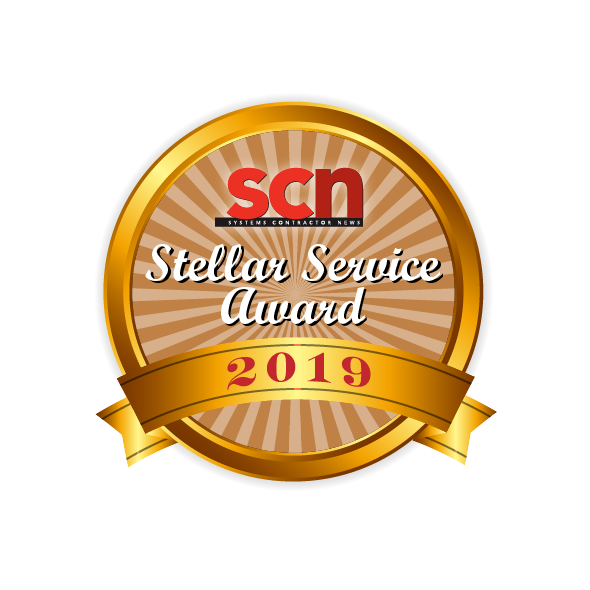 Winners of SCN’s Stellar Service Awards are recognized as leaders in the audiovisual industry by leading integrators, consultants, and end users. Winners will be announced and featured in an April 2019 supplement to Systems Contractor News; the supplement will also be mailed with the April 2019 issue of AV Technology. Can I enter multiple products/categories? Yes. Each entry requires a separate entry fee of $250. 2019 SCN Stellar Service Awards is part of Future plc, an international media group and leading digital publisher. Visit our corporate site. © Future Publishing Limited Quay House, The Ambury, Bath BA1 1UA. All rights reserved. England and Wales company registration number 2008885.